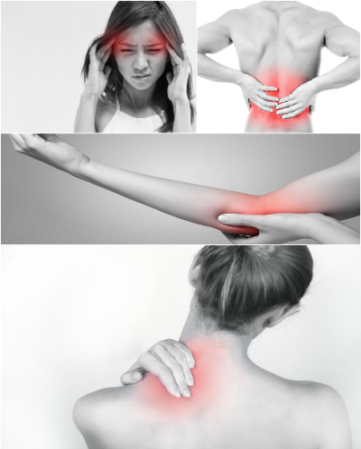 Direct Pain Relief – Treating patients who have a disorder of the hand, wrist, elbow, or shoulder. has been in business since 2004. Owned and operated by Norma Halcro, Norma is a NJ and NY Licensed Massage Therapist. In addition, Norma is Medical Massage Certified, Trigger Point Certified and has 14 years of experience exclusively in Pain Relief. All therapists are not alike. Most massage therapists have little to no training in Pain Relief, Trigger Point and Neuromuscular Therapy included in their education. Norma puts extensive hours into training Direct Pain Relief therapists in anatomy, muscle movement, trigger point and spasm locations and the specific pain pattern they can create. The therapists are trained by Norma on how to treat these points in order to relieve the client’s pain. 90% of pain comes from muscles. We are a team of neuromuscular/trigger point therapists that specialize in pain relief. All therapists are extensively trained by the owner of Direct Pain Relief. We advise you to stretch on your own and use therapeutic heat. We don’t spend your valuable time with us on something you can accomplish at home. I came to Norma with a very sore, tight shoulder. My range of motion was awful. After one session with her, I had complete range of motion back. The tightness had almost completely resolved & the pain was gone! She knows exactly what areas to work on to achieve the maximum relief & healing. Amazing! Norma is amazing! She is a muscle whisperer. She can fix anything from sore muscles, a stiff back, knee pain, to increasing range of motion. She has saved me too many times to count. I discovered Norma before she opened Direct Pain Relief and followed her here. While working I had a standing appt every two weeks which was the best therapy I could ever have to help me relax and deal with stress. I still go regularly to help with aches and pains and to just relax. She is the gold standard that I compared any massage I had when traveling and now don't bother with them, but wait to come home. I have such confidence in her that I know if I have an ache or a pain, she will work to fix it for me, and have recommended her to many of my friends as well as given her massage as a gift. She is just wonderful and incredibly knowledgeable! I have been coming to see Norma for a few years and every time I come with a pain she manage to find exactly what it is and with therapy in no time I start to feel better! Amazing hands! Thank you Norma, I don't know what I would do without you! Our office is conveniently located on the second floor.